Dryel generously sponsored today's post. Homemade pumpkin spice latte and opinions are my own. Like many of you, I've become obsessed with all things pumpkin spice. I actually crave the flavor over my normal black during the holiday season. Pumpkin spice makes everything better. At the very least, it makes mornings easier. Early mornings are my struggle. A cold early morning magnifies that struggle. Here's what I do to turn my frown upside down and appease the Grumpy Gertrude that resides inside. Prep the night before so I don’t stand around in the closet looking confused in the am. Lay out my clothes. The underthings and shoes too so that I can hop into it all with ease. 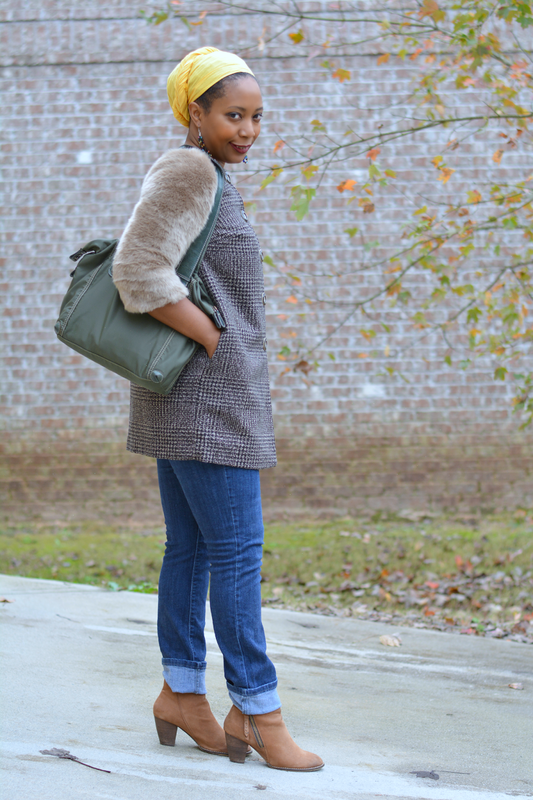 Before laying the outfit out, I throw it in a Dryel bag, stick it in the dryer for 30 minutes and let the at-home dry cleaner do all the ironing for me. Give it a shake, hang it up and wrinkles fall away. Slight wrinkles. This won’t work with the clothes that have been crumpled in the bottom of a laundry basket for a week. Doing this makes my morning much easier. My other prep is to make the pumpkin spice syrup for the delicious treat I’ll partake in the am. 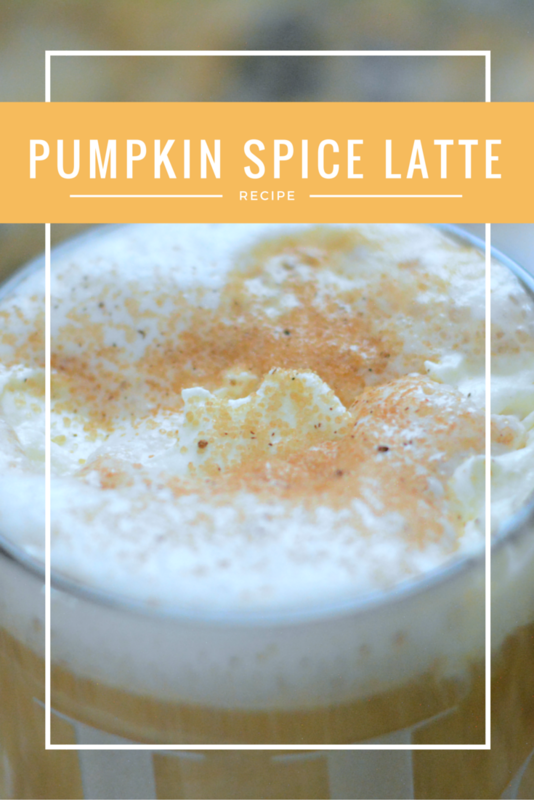 You can make this one on Sunday night and have lattes the entire week! Directions Heat sugar and water until sugar has dissolved. Add pumpkin puree and spices. Stir and simmer for 15 minutes. 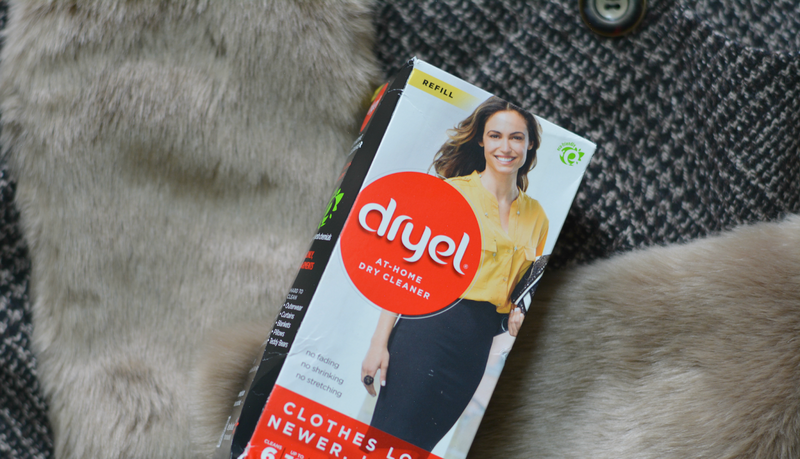 In the morning, give your coat and scarf a freshen up with Dryel. If you’re not a morning person, this will be a difficult task but it’s totally worth it. Not only is your coat going to be fresh and clean, it’s also going to be super warm. You can do this over and over again without fear of ruining your coat with harsh chemicals. Yet again, Dryel is rocking my morning. While waiting for the coat, fix a decadent latte. I earned it. You certainly earned it. It’s cold outside. Why not treat yourself to a warm and creamy latte? By the time it’s done, your coat should be too. 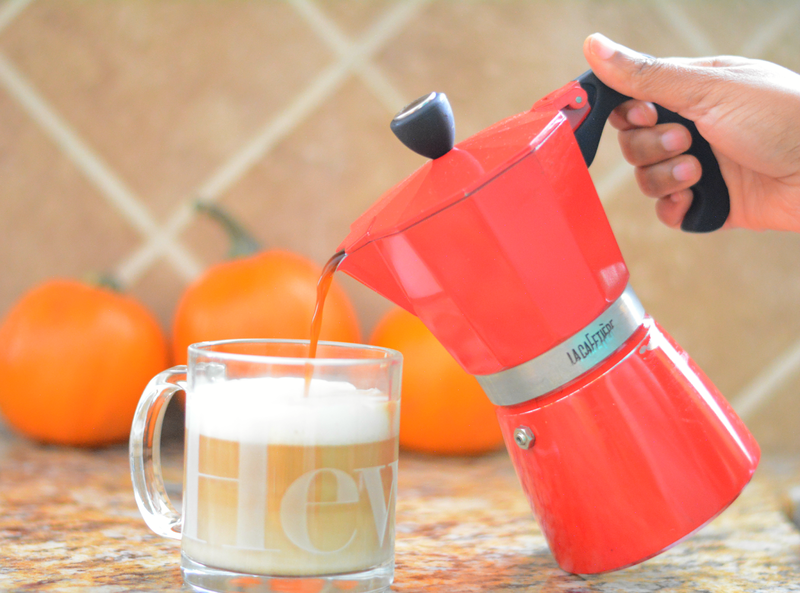 Brew an extra strong cup of coffee or espresso. Heat milk in microwave and froth it a bit with a whisk or magic bullet. 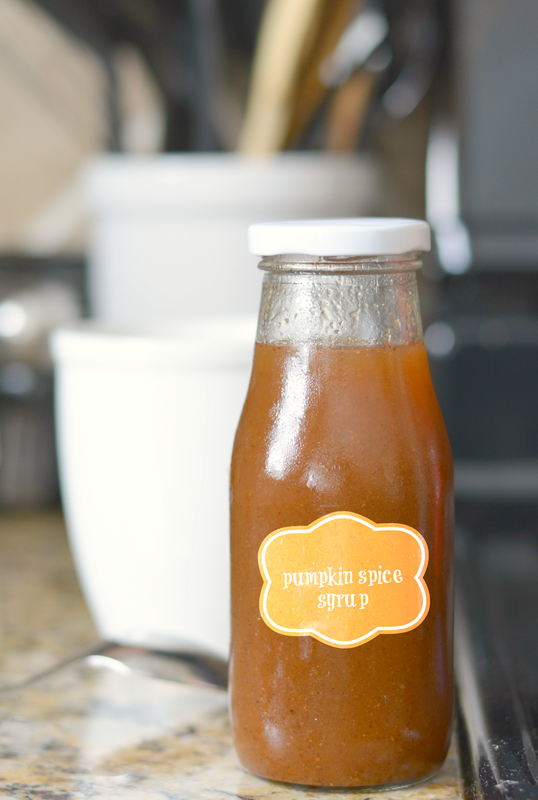 Add 2 tablespoons (or more) of pumpkin spice syrup to bottom of a cup. Pour the frothy milk on top. Add the coffee and stir it all together. If you really want to get fancy, mix a ¼ cup of heavy cream and a pinch of powder sugar in the bullet and give it a whirl. Spoon it on top. Grab coat from dryer and pour latte in a mug and be on your merry way.